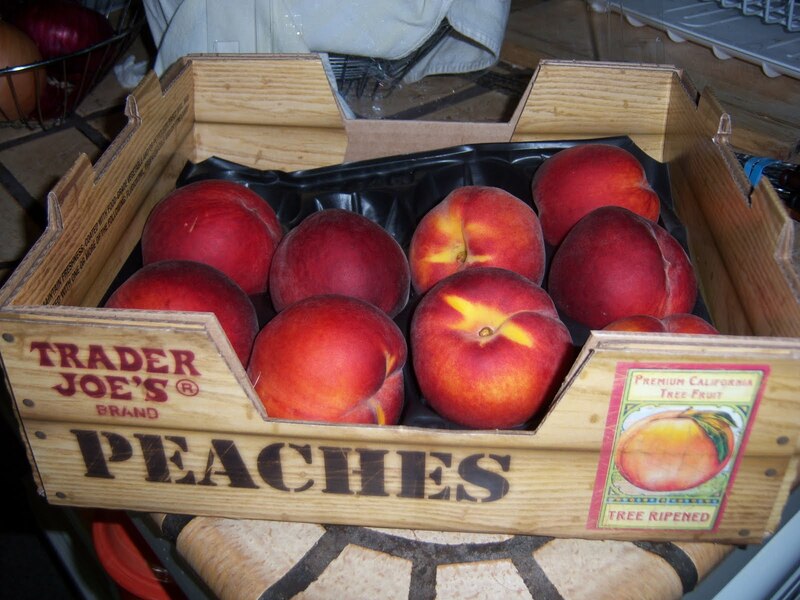 If you've seen these crates of peaches at TJ's and been at all curious, let me tell you - they are DELICIOUS and a super deal at $4.99 for 4lbs of fruit. Yes, the excessive (but adorable) packaging did give me pause, but each juicy gem gets its own little bed to lie in, and each one is perfect. I'll figure out some way to reuse the box. I've made this before and added a dollop of strained yogurt as to bring it all together. Tonight's treat was created on the fly so I didn't have time to strain yogurt. But we did have marshmallows in the house so I topped the whole shebang with a couple of marshmallows perfectly toasted over the coals. Delish!